Did you know you can make your own custom warm up jackets? And it’s easier than it sounds. In fact, if you have no idea where to begin, there are a number of great design ideas you can explore and come up with a design outlook that fits your style best. With our broad range of design ideas, each of which comes with a rich selection of editing options, you can order customized warm up jackets with a lot of ease. Although we cater to individuals, we also make custom team warm up jackets. This whole process can be done online; and it is simple but exciting. Additionally, you can design your own warm jackets from scratch. Alternatively, you can do some editing on some of the basic designs displayed on our site. 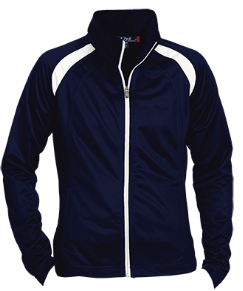 When you make your own warm up jacket, you will make no compromises – you will get precisely what you want with regard to quality, size, and design. 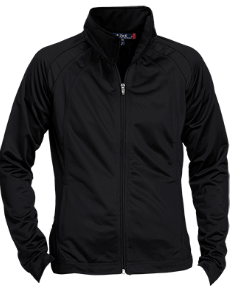 That is why in addition to giving you some general basic warm up jacket ideas you can tweak to suit your design interests, we also give you a chance to design your own jacket. The process is actually less complicated than it sounds, as we will guide you through the options at your disposal regarding colors, zippers, highlights and so forth. 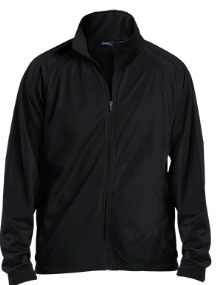 You can even have the name of your company or team imprinted on the warm up jacket to make it even more personalized. Otherwise, once you have come up with a final design, you will get a price quotation on what it will cost you. Rest assured that the prices are very favorable, and your next step will be completing the order by checking out and then all that will be left is to wait for your order to be delivered. So, make your order of custom warm up jackets today, and witness first-hand why getting a jacket that is made to your specifications is the way to go. So, the time to make your own warm up jackets is now; and with us, this is easy, fast and affordable.